In every family’s history, there is generally, somewhere along the line, a dramatic tale. Sometimes it is of love lost or found. Other times it includes a grand journey from a far away land to a new frontier. They all have adversity and love at the centre of them…and, usually, a happy ending. Of sorts. I mean if there is a family that continued on to tell the story, chances are the ending wasn’t all bad. In my father’s rather large and rather loud French Canadian family, he was rather reluctantly at the centre of that story. He was not alone, of course…as he was one of a pair. A pair of twins born out of wedlock during the second world war. A boy and a girl. Paul and Pauline. When retelling this story, it is important to remember that in 1944, an unmarried woman who finds herself about to have a baby(or two as was the case here) really had limited options as to where to turn. It is also important to note how hard it would be for any family–no matter how close or how openminded–to be accepting of any children born in such a situation. You can imagine that a story such as this is not one that older generations thought appropriate for ears as young as mine. So, over the years, through school projects designed to map out our family tree and discussions born out of my natural curiosity, I have pieced together the bits and pieces that have been offered up to me to map out a sort of ‘outline story’. As an adult, I have pressed some of the older generations for more details to help flesh it out so that it could become more than just an outline, but that was always met with hesitation. Why would I want to know about such things? What does it help to hear this story? Who cares if we are here and all happy and healthy? So, this is what I know for sure…I’ll go into more detail about how I have come to these solid conclusions later on down the road, but I hope to find out more from the few remaining family members so that the puzzle is more fully explained. There once was a young lady named Lou. She grew up on a farm near Regina, Saskatchewan. The eldest child in a very large and very French family. 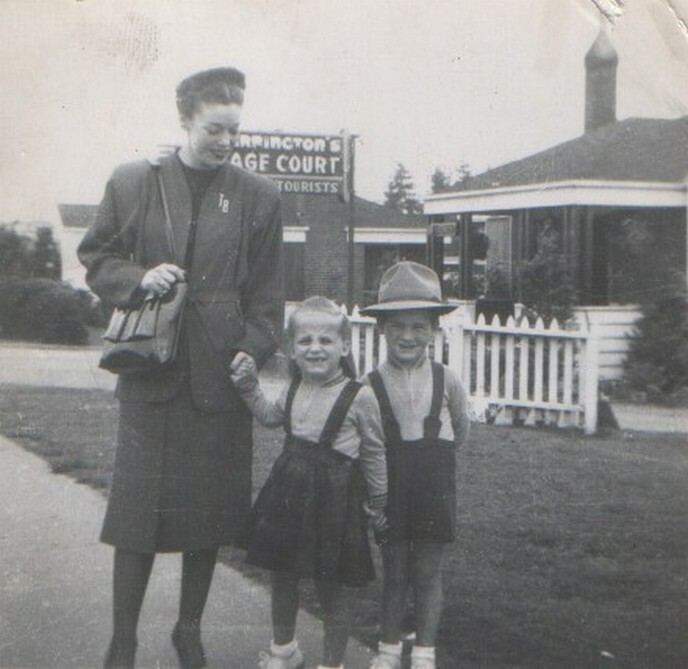 As a young woman, she moved out to Vancouver Island where she was a waitress often serving the many troops. She found herself pregnant and would eventually give birth to twins(my dad and his sister). She made rather detailed claims to the Australian government that their father was a member of the Australian military. Within these claims, she was looking for chid support for her children so that she could keep them with her. The man whom she claimed to be the father, denied paternity…in fact, denied even knowing her…and the military informed Lou that the man she thought was the father was married to someone else. In fact, had been married when he was deployed to Canada. Lou then had little options. The twins were given up for adoption. She handpicked the couple(at least this is my understanding). She chose a wealthy American, Peter Barnes, and his wife, Treva. They then took the twins to America. This is where things start to get sketchy. I know that things were rocky between Peter and Treva…and that, eventually, lead to their separation. My understanding was that custody of the toddler twins was at the heart of the divorce proceedings. Before any sort of settlement could be reached, Peter died rather suddenly and his family cut Treva off of all support…due in part at least because of how difficult she had made it for Peter to see the children. Treva then became the secretary or personal assistant to Gene Autry(this I would LOVE to have proof of). She even boasted once or twice that the twins had gone up on stage with him. Eventually, Treva would lose custody of the twins and they would be placed in foster care. I believe that their foster family was the Johnson’s. I guess I’ll find out for sure at some point during this journey. When she lost custody, she sent notice to Lou…I think because she felt she owed it to her. Lou then contacted her family back in Saskatchewan. 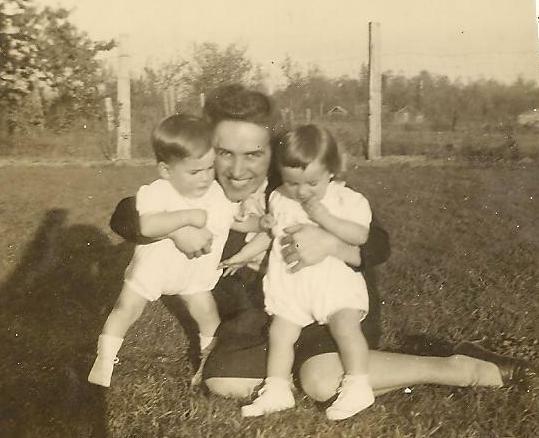 Her very French Canadian(read: stubborn and determined and Catholic) mother sent two of her boys, my Great Uncle Ray and my Great Uncle Joe, to Oregan on the railway to essentially kidnap the twins and bring them home to the farm in Saskatchewan where she would raise them with their aunts and uncles. And, my dad, for the record, went on to have a happy ending. His family in Saskatchewan raised him with love. Everytime we visited the farm in Wolseley while my great grandmother was alive, she would have made at least 3 blueberry pies that were sitting on a counter in her summer kitchen reserved especially for Paul. With their help, he would graduate from high school at 16 years of age and go on to finish at the top of his class in university. When he wrote his commerce exams, his marks were one of the top 3 in the nation at the time. He would be the youngest partner ever at Clarks and Gordon. He would fall in love with the most amazing woman(my mom) with whom he shared 45 years together. When he died, he was the CEO of a company of his own making. He gave chances to young people he believed in. Most of all, he was a happy Papa to 4 beautiful grandchildren…and for them, I am going to learn his story. Because, they deserve to know it. What a beautiful story and a wonderful thing you are doing for your family. Congratulations on putting together the puzzle pieces of the human story that is your family. What a beautiful ending! I absolutely love family history and uncovering the truth. Good luck on finding out more!